My Greek girlfriend rarely swims in the sea, she likes to enter and talk about all sorts of things. This is what a successful day at the beach looks like for her. I, on the other hand, like swimming and moving in the water, unthinkable for me to just stand inside and do nothing. Some time ago we were at the sea, she was standing in the water and I swam around her: a little bit forward, then backwards, just enough to talk to her. But after a short time my friend screamed, something had tweaked her. Since the water was relatively clear, we could soon discover the culprits. 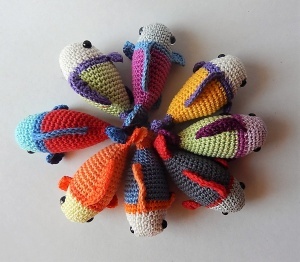 They were small fish of about 10 cm in length and bright color. I’ve seen these fish many times, but they have never tweaked me, because I’m constantly moving in the water. 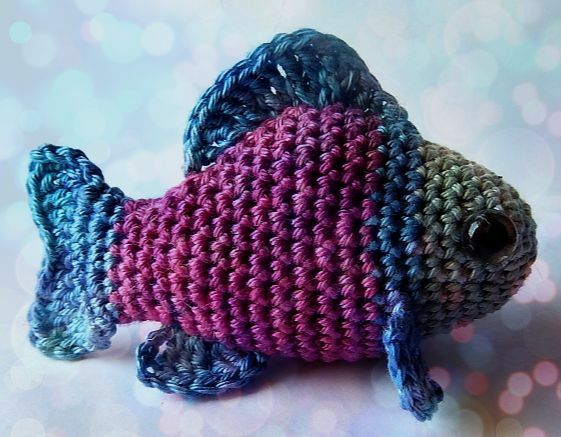 I still think fish are cute and I decided to bring a crush in my living room – of course, only with wool. I had a lot of fun with the design. The fish is basically easy to crochet, but what increases the difficulty, are the different crochet stitches for the fins. 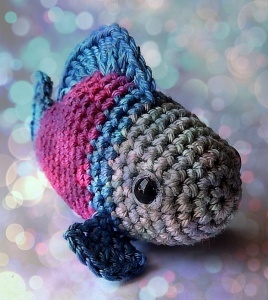 For the fins I used half double crochet, double crochet and triple crochet stitches. 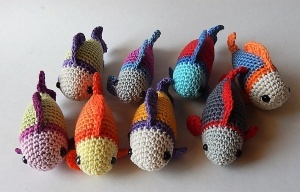 The fish is crocheted quickly and ideal for your wool remains. 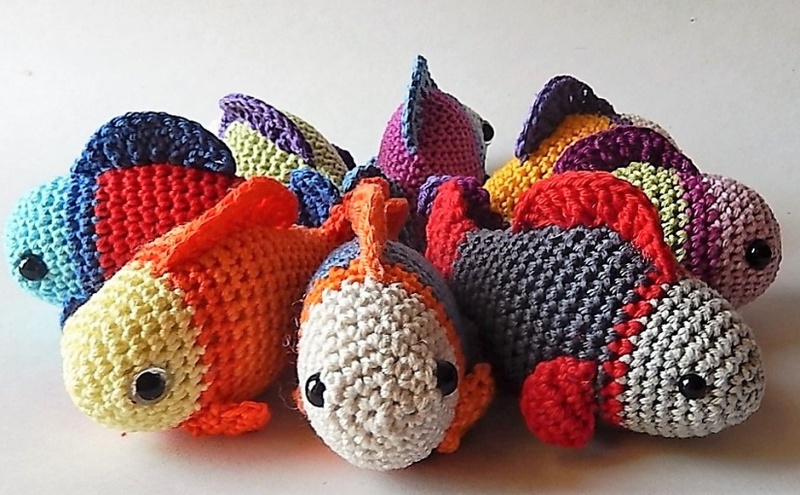 If you crochet several fish, you can make a fishing game. The fish is also a great toy for your cat. If you have any other ideas for using the fish, send me a picture, I’m happy to see what you have in mind! 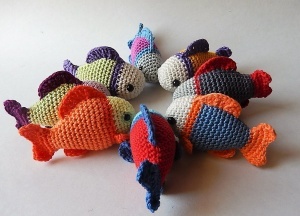 Thank you for your fish pattern, i’m going to make a mobile for my great nephew.